Over the Summer of 2000, we built a 7' x 13' x 23" garden pond and waterfall in our yard. 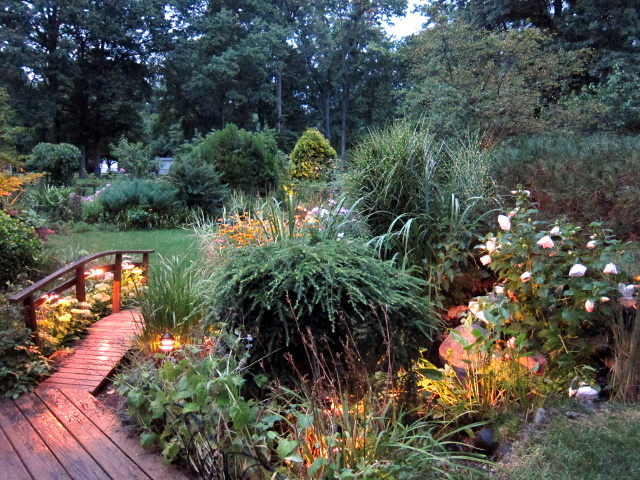 The pond is located off the back deck of our home in central New Jersey. Here then, begins an ongoing series of narrated photos depicting life in and around the pond! Winter 2000: Pond or Skating Rink?